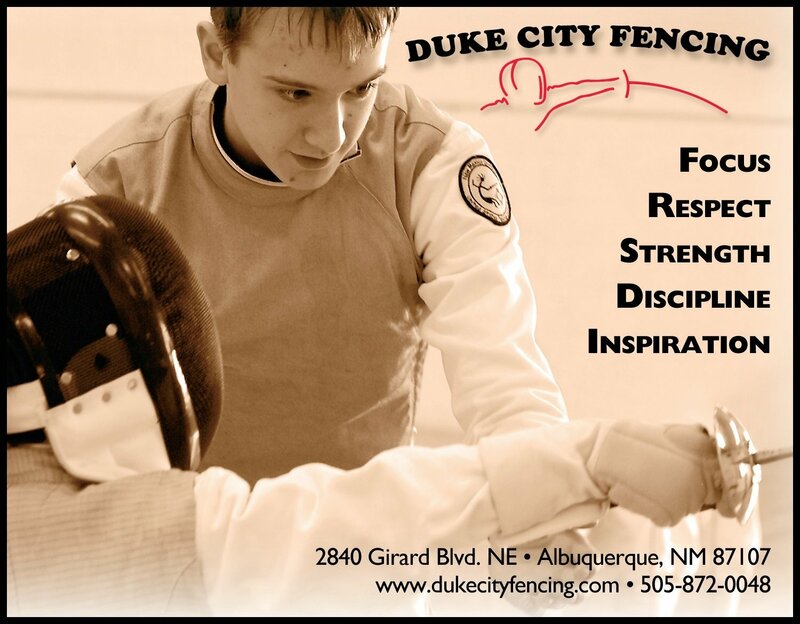 Duke City Fencing offers after-school fencing classes for kids aged 6 through 15 and evening lessons for adults. We are a 3-weapon club; our classes cover all the Olympic weapons: foil, epee and saber. We offer classes for all skill levels, from Intro to Fencing for first-timers to Competitive for fencers who travel and compete. Private individual and small group lessons are available. We offer sibling and family discounts, and everyone's first visit with us is free! This is the perfect class for beginners who are interested in learning to fence. No experience is required, and all equipment is provided. Walk-ins welcome, and as always, your first class with us is free. 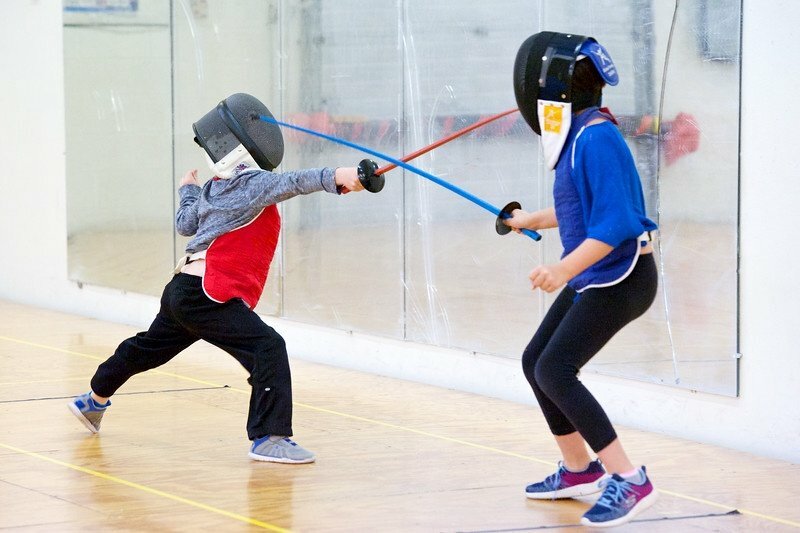 This is a great class for younger kids to start the sport of fencing. 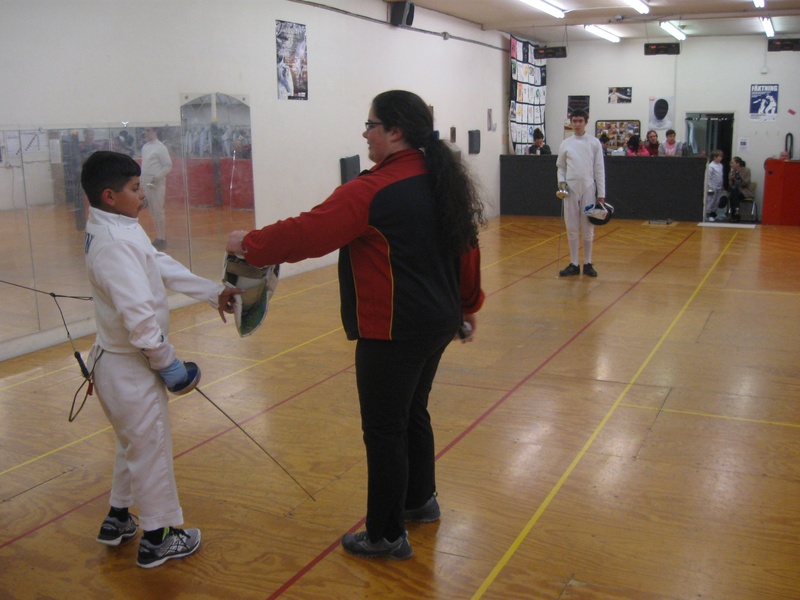 We ask that you schedule two private lessons with us first before starting the class so we can get your child up to speed and see how well they like learning fencing. After about 10 Introduction to Fencing classes, fencers are ready to graduate to our Advanced Beginner classes to continue building their technical and tactical skills with foil, epee or saber. Our Advanced Beginner students hone the skills they've learned with electric bouting against other club members in addition to their regular classes. By invitation for experienced fencers who want to travel and compete and improve their tournament performance. Wednesday is Duke City Fencing's open bouting night. We have six electrical strips available for foil, epee and saber fencers to bout against others and have fun. 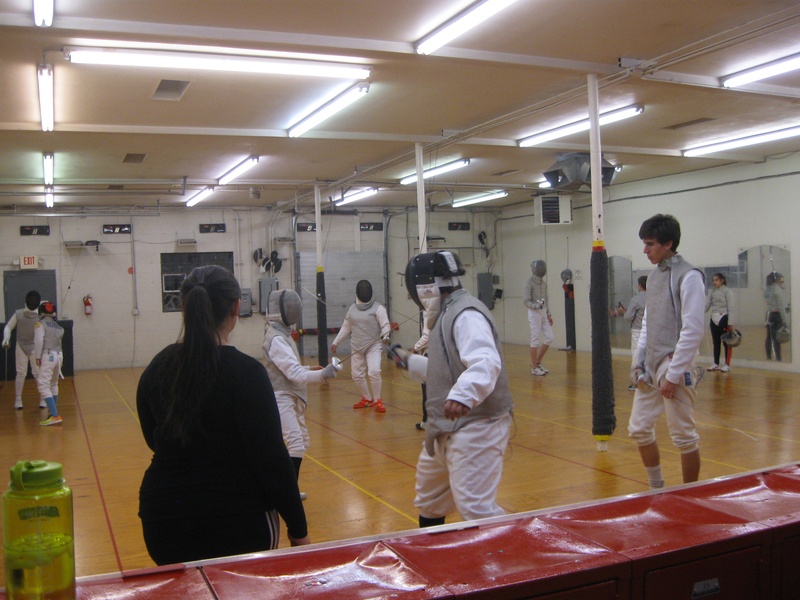 Our coaches are available for private fencing lessons. Private lessons are a great way for new or advanced students to improve with one-on-one coaching. Please contact us to schedule a time. 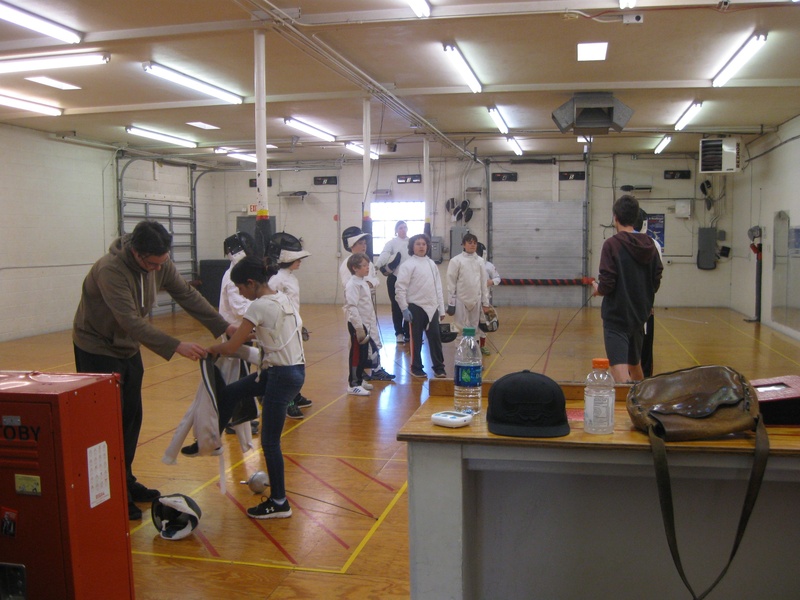 Coach Andy teaches an open drop-in lesson for adults who want to learn fencing too! The primary weapon taught is epee, and the Wednesday class coincides with our Open Bouting night for those who want to stick around and fence once they've gotten the basics. Our club can accommodate groups of up to 12. 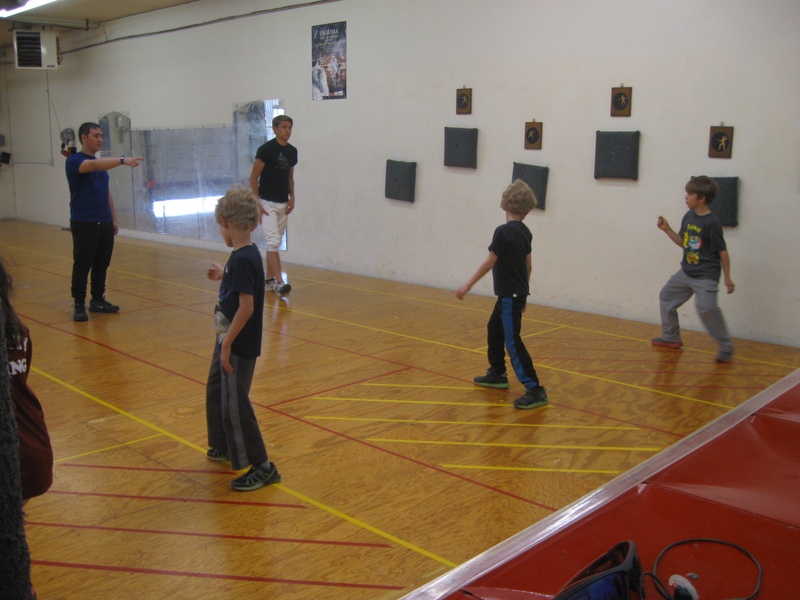 We'll teach a 90-minute beginners' fencing class that great for birthdays, scout troops, and youth groups. For beginner classes, wear sneakers with non-marking soles and comfortable athletic clothes that allow a full range of motion. Advanced Beginner students should purchase their own glove, which can be purchased through the club. Intermediate students may borrow club gear for up to three months. We will assist with sizing and purchasing recommendations. For Open Bouting, remember to bring your tall socks! We ask all of our first-time students to complete an Emergency Contact & Waiver Form and a USFA Trial Membership Form if they're not already a USFA member. As always, every new fencer's first visit is free! This membership covers the use of loaner equipment, and helps with the upkeep of our facility. DCF Membership renews every August 1 and is extended an extra year if purchased after April 1, just like US Fencing membership. 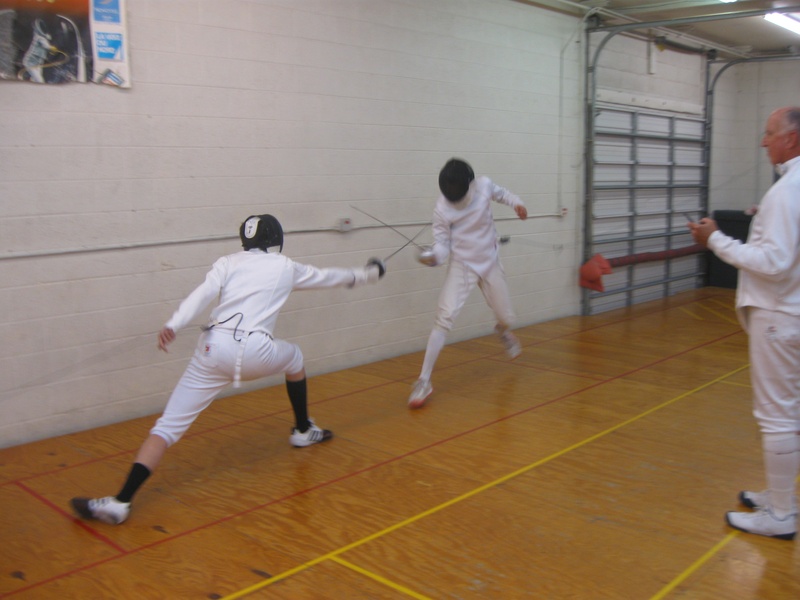 Your club membership covers Non-Competitive membership in the US Fencing Association. We offer a discount on Annual Club Membership for families, which is $150 plus tax to enroll the whole family instead of our usual $125 plus tax per individual. If you're a fencer visiting from out of town or if you plan on coming to our Open Bouting night just once or twice a month, be our guest! 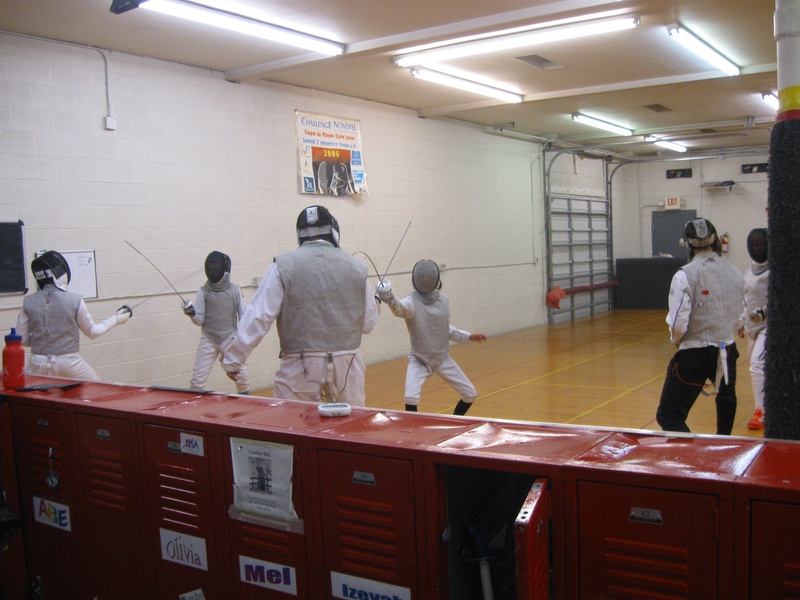 Guest fencers pay a floor fee of $15 per visit and are exempt from annual membership. 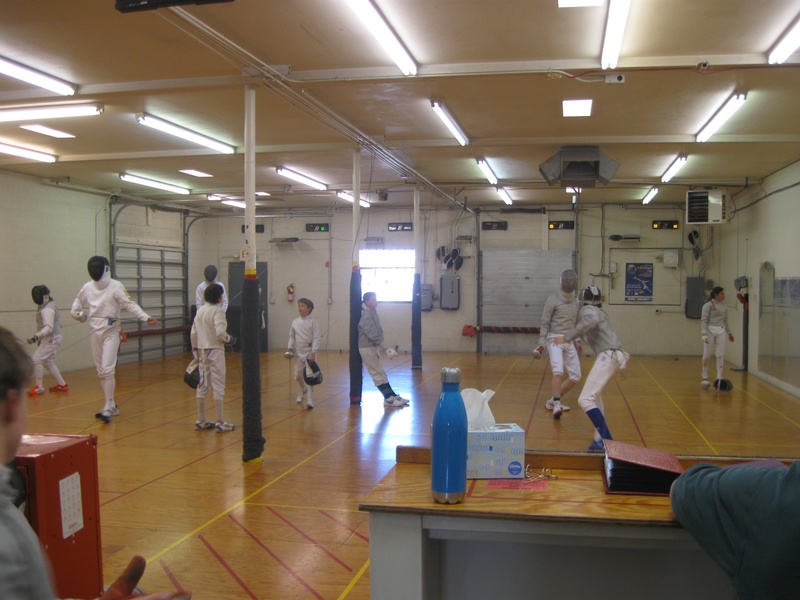 Guest fencers must purchase their own USFA membership if they don't already have one.